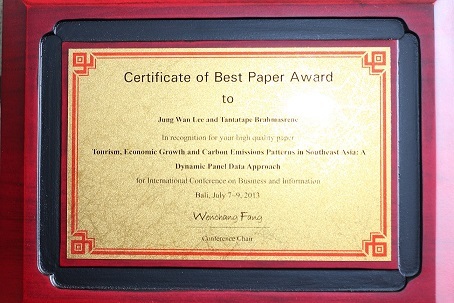 Best Paper of the Year Award (Korea Distribution Science Association, Seoul, Korea, December 2011). Title: “Empirical Investigation of the Relationship between the Operational Competence of Service Providers and the Use and Adoption of Mobile Commerce,” Journal of Distribution Science, Vol.9, No.2, pp. 5-12. ISSN 1738-3110. Co-authored with Samuel Mendlinger. 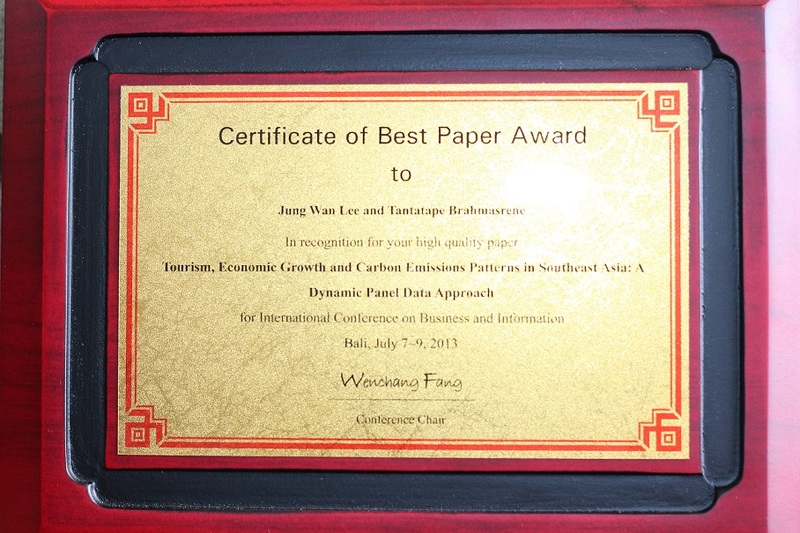 Best Paper of the Year Award (Korea Distribution Science Association, Seoul, Korea, December 2010). Title: “Effects of customers’ demographic profile on mobile commerce adoption,” Journal of Distribution Science, Vol.8, No.1, pp. 5-11. ISSN 1738-3110. 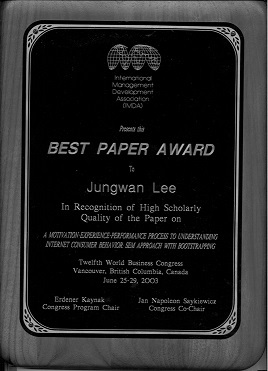 Co-authored with James F. Cormier. Fluent in English, Proficient in Chinese (Mandarin), Japanese, Russian. Skilled user of HTML, Java Script, VBScript, and Dreamweaver CS. 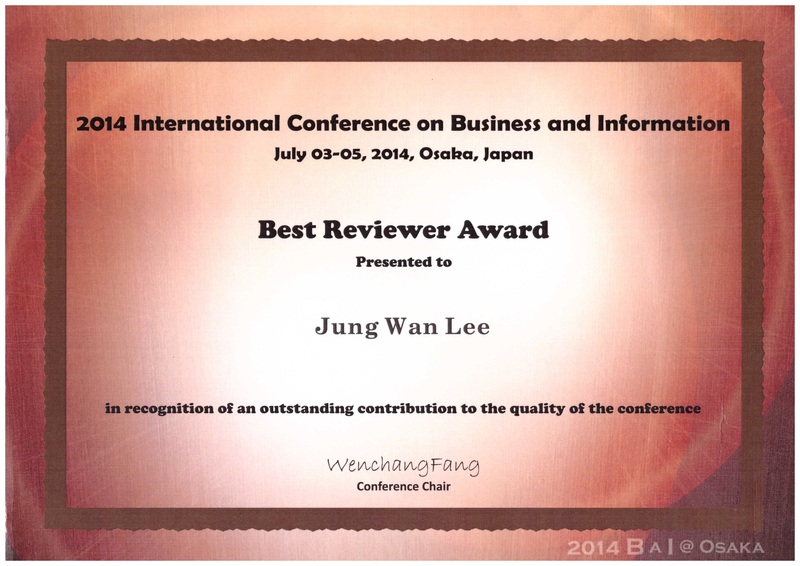 Skilled user of Statistical Analysis Packages: EViews, SPSS, AMOS, and EXCEL.